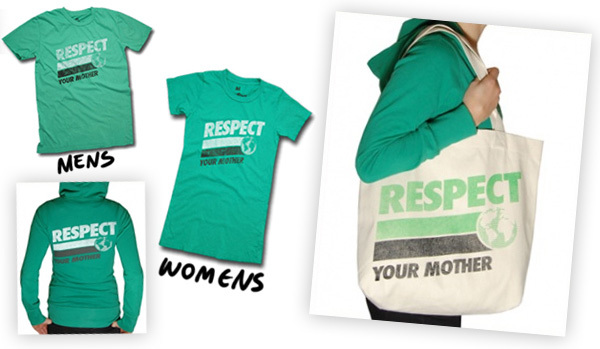 Respect Your Mother by Local Celebrity… as a t-shirt, this one sky rocketed around the celeb world in green and blue, and as trendy as some things can become, i’ve always had a soft spot for this design. Loved it secretly, but part of me would never wear it here in LA, maybe while abroad though! BUT, i just spotted that they now have a canvas tote bag with it, and simply had to add it to my pick of the moment for reusable shopping bag options… or for my laptop and other random “won’t fit in purse” schlepping. Close up below, and expect this one to show up on the green gift guide to come! They are all available over at local celebrity! I absolutely love the t-shirt and tote! The simplicity and vintage-ness of the design is fantastic! Where can I get my hands on one or both f them?! 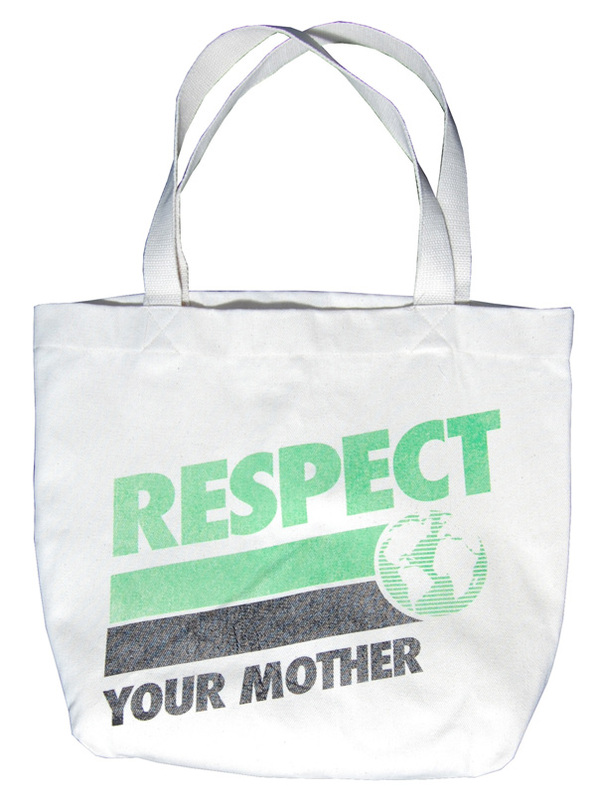 I thought the “respect your mother” was a cool concept - my mum is great - then I realised it was a “Mother Earth” thing : OOPS! Is ECO actually in fashion?? ?